Sony Ericsson to release football-shaped mobile? 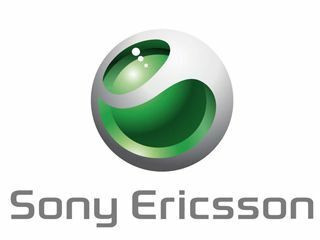 Sony Ericsson to sponsor 2010 FIFA World Cup... Woo! Sony Ericsson, not content with its sponsorship of the WTA Tour, has decided to go one better and become the official mobile phone sponsor for the 2010 FIFA World Cup. This means the SE-lovers of the world will soon be able to buy branded phones (probably) and a load of other football-related madness (we expect the World Cup song to be pre-loaded on every handset between now and then). What might be of more interest is the company's pledge to bring football-related content to its customers, which will probably be delivered by some decent streaming options or in the form of highlights packages to download. Which in turn would hint at some larger screened media powerhouses from the Japanese-Swedish company. "The 2010 FIFA World Cup is one of the world's leading sporting events and is watched across the world by millions of fans. It will be these fans that we focus our engagement in football on; using our relationship with FIFA and our handsets to enable them to get closer to the game in new ways and enjoy the 2010 FIFA World Cup. "We are looking forward to using our handsets to capture and share their football experiences."